Since the Part 1 of Yuriko’s Marathon Journal ran a number of classmates (6?) 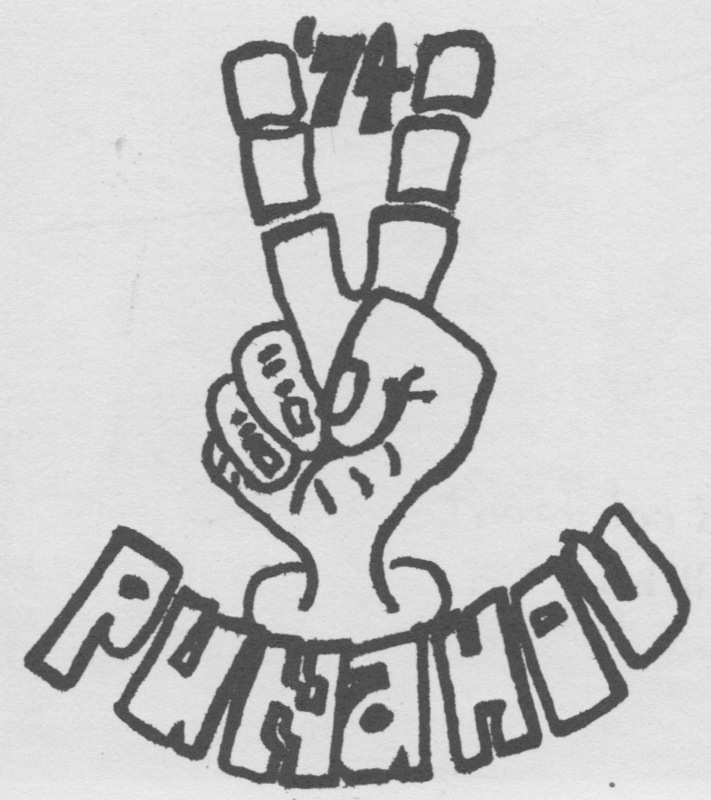 have decided to form a Punahou74 contingent at the 2018 Honolulu Marathon on December 9. How about you? Maybe Part 2 of Yuri’s story will motivate you to get moving. WOOHOO! I made it to 20,000 steps today – that’s 8 miles! Yuri Wellington was celebrating this special day. WOOHOO! I reached the 1,000,000 step benchmark today!! Still experiencing a lot of knee pain, but am able to regularly walk 11,000 – 12,000 steps at least four times per week. The past several weeks have been so troubling, and it’s hard to even feel motivated…. but step by step, day by day, we move forward, right? WOOHOO! Another milestone reached: I walked 25,000 steps (10 miles) today! Yesterday I had a bad fall, and hit my head on the curb. It stunned me, but the worst part was that my fitbit tracker got knocked off in the fall and fell into the sewer (I fell right on top of a sewer grate!). Then it started raining….All in all, not a great day — but can you believe it, there was a wonderful pick-up at the end of that saga! Life is all about finding the small pleasures in each day, and this random act of kindness from a total stranger on a rainy day kept a smile on my face all the way home. 194 days to Portland… YES, I can!! I am so excited — and grateful! I went to the mailbox and there was a brand new fitbit flex 2, sent from my dear friend and classmate Bryann Bromley Nuzzo! Woohoo! I am amazed at how the fitbit and its regular reminders keep me on track. Looking foward to amping up my mileage once again 🙂 Aiming to get in a 30,000 step day before Easter… that’s doable, right? Woohoo! Another milestone reached! I’ve walked 736 miles since beginning this journey. The past month has been a real struggle, but I am working my way back toward reaching my goal. Well, it was a struggle, but I met the challenge goal for today! I almost gave up several times, due to the pain…. But as usual, angels were watching, cause the neighborhood stray cat decided to keep me company today. I was out walking with my cane, and she decided the cane was a toy, and that the goal was to catch the toy. I tried going back in the yard, but she followed! So finally I put the cane on the lawn table and just hobbled around in circles on the patio. The cat kept me company the whole night (literally, the whole night – it took almost ’til midnight to meet the goal) and the cat stayed the whole time. Woohoo! Another milestone reached: As of today at 6pm I have walked 2,000,000 steps since beginning this journey on Oct. 16! * my steps rate per minute has increased ,and my walking rate is much more consistent (a steady line rather than ups and downs). 20,681 steps today, My best since mid-March. Only 95 days to Portland and I’m struggling! Had hoped to reach 1,000 miles by June 30, but still have 30 miles to go. Hopefully will get there by the end of this week. On a happier note, I’ve lost a total of 23 lbs since starting this journey…. slow, but sure progress toward regaining my “youthful” healthy self – haha! WOOHOO! Another milestone reached – 990 miles! I am really proud of this one because it was a struggle! I think I “hit the wall” in my training, just becoming bored of walking and also feeling a lot of pain from over-use early in the month. I think it’s time to put in some much longer walks at least every other week, perhaps with more low step days in between. Okay, today was a good day for walking! There is a stray cat that lives on this street, and it has taken a liking to me (and okay, I love cats!) Sometimes when I am walking outside, it hops the fence and sits in the garden watching me. Several times it has tried to follow me into th house which, unfortunately, my landlords would **not** be okay with. Summertime…. so I’ve got one of those portable screens that fits over the doorway… and… Today, I was sitting at the table and kitty just walked right on in. Hohum, can’t have that… so I picked him up and walked outside so we could spend some quality time together, and before I knew it, I had reached my daily goal of 12,000 steps! In fact, I got to 18,393 today. Really getting excited about the “long walk.” Yesterday I downloaded the race-tracker pp on my phone. WOW, things have certainly changed since 2007! Now you can track your progress along the route in real time. WOOHOO! — I mean, AWESOME DAY!!! I **finally** reached the 30,000 milestone – today I walked 32,201 steps, for a total of 13.3 miles. It means I have a very good chance of finishing the marathon this time around — woohoo! Have been trying to reach 30,000 since late April, with no luck, but today, I turned on Pandora – “John Denver Station” – which turned out to be a mix of songs from the 70’s… and that did the trick! I counted songs instead of steps or time, and it worked 🙂 Am thinking I will use that station for my walk music on Marathon day. Today, I also consciously tried to point my toes outward a bit and put weight on the inside of my foot rather than the outside, and this helped a lot with the pain. Only 66 days to Portland! Am trying to decide whether to get a new pair of shoes and break them in for the race, or just hope these will last… they are right on the edge of wearing out… any opinions from those of you who have done this before? Old pal Tom Hallee will also be walking the marathon — although probably much faster pace than me, but it will be good to see you, too, Tom! Will Eileen be joining you? Only 25 days until Portland — will I be ready? Yes! Question for my tech-savvy friends: How exactly does the iPhone work with pandora? I’ve been training with pandora and today I went farther form the house and it stopped working – no network. So I tried to use the “personal hotspot” feature – which I totally do not understand at all – but it kept asking me to select a network, and I couldn’t figure out how to use it. Once I was up in the mountains at a retreat and a colleague turned on the hotspot so we could participate in a video conference. SO I thought, okay, this should work…. Only 22 days till Portland — woohoo! I think I am on a “runner’s high” from all that mileage last week 🙂 It was an amazing 7 days, with 48 miles/115,577 steps walked. Had planned on a couple of “rest” days but it didn’t happen – ended up walking 6 or more miles every, including one longer day of 10 miles. Also lost 3.6#, which I am sure will help (total loss to date 33.6… was hoping for more, but happy with my progress). Jacquie and I have been perusing the websites of all the Hawaiian Food places folks have suggested — it’s going to be a gastronomical adventure, which will surely be earned! Today I received a beautiful card and note from a friend and Punahou ’74 classmate. She’s been following my progress on this marathon of a journey (tiny pun – haha!) and to commemorate my accomplishment, she has donated $2 for every mile I will walk to Teach Cambodia! Mahalo nui loa, Annabelle! And mahalo nui loa to Bryann, Jeanne, Fumiko, Ingrid and Joel G., who have also donated to Teach Cambodia recently! The Khmer are always saying to her, “you not Khmer? But your face is on the temple”….. maybe in a previous life? What an awesome idea, and what a wonderful gift for my friends and colleagues in Cambodia…. because they are struggling. One of our longest and closest colleagues in Siem Reap has recently had to close their business due to lack of support. I worry for their families, and what this means for them…. Yuri and her kindergarten class at Anjali – March 2008. When I started this MARATHON JOURNEY, I wondered if in addition to being a form of “empowerment” for me, personally, it might also be a way to promote and continue our work in Cambodia. I don’t generally like to use Facebook to promote personal causes, but in this instance I am making an exception. If you want to support me and my journey, please show your love by considering a (tax-deductible) donation to Teach Cambodia. I like Annabelle’s concept of pledging for each mile I will walk on October 8th – it means that each step I take will be a step for my friends and ohana in Cambodia. Only 13 days to Portland – WOOHOO! I am a bundle of nerves! Been having race day dreams (some good, some bad 😦 ). Today I got this link in my mailbox to a list, and it looks like a pretty good list, so am going to at least read it thoroughly, probably do many of the things on the list. I was glad to note the that had already done quite a few. I’ve had the joy of reconnecting with many friends and ohana through my fb posts, something that helped me feel so much less isolated than the previous couple of years had been! The daily struggle of “disability” has somehow not won, and for that I am so very, very grateful! I’m still alive today (something that was not a given a year ago)… And walking my way toward a healthier, happier existence… woohoo! Sunday morning, Bib #236 will be there! And no matter what, I **will** prevail — even if I’m the last one across the finish line. Mahalo piha… for all your words of encouragement, your suggestions your prodding when I felt like I couldn’t do it…. Editor’s Note: And what happened to Yuri? Look for the answer in the next blog post.